I have waited a whole year to make this Wedding Cake for Michelle & Matt. 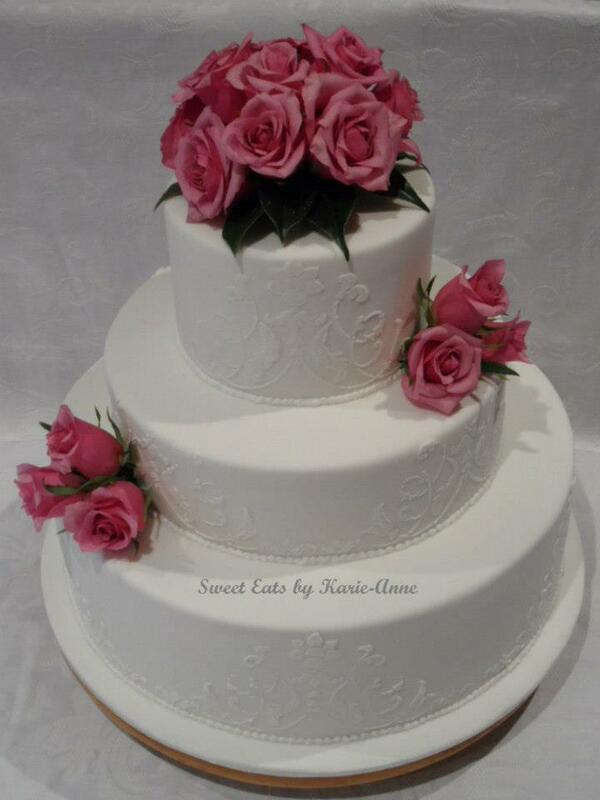 This was my first wedding cake using fresh flowers and the biggest cake I have ever made the bottom tier was 14" alone and the cake was so heavy that I couldn't carry it by myself. The cake was Dark Chocolate Mud, White Chocolate Mud and Caramel Mud Cake.